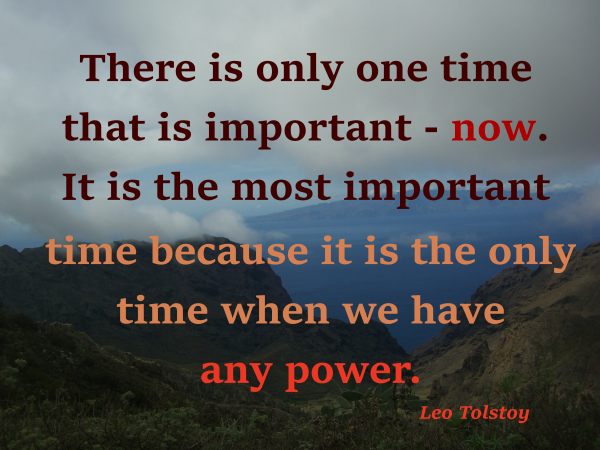 The most important time of all is now. We have no power to change the past; and the only way to change the future is to act now. What can I do today that will make something or someone better or happier?